Internet Archive announces today the addition of over 450,000 journal articles from the JSTOR Early Journal Content collection. 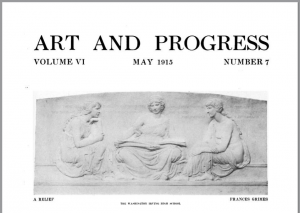 Early Journal Content is a selection of pre-1923 materials from more than 350 journals and includes articles in the arts and humanities, economics and politics, and mathematics and other sciences. This content was digitized by JSTOR and is freely available through jstor.org, and it can now also be accessed and downloaded via archive.org. All 2 terabytes of the Early Journal Collection are available for bulk harvesting from the Internet Archive. Web search engines have been indexing the full-text contents of these materials already and, so far, people and robots have downloaded the articles over 400,000 times even before it has been announced. A data bundle including OCR text and metadata is also available from JSTOR’s Data for Research service for free downloading. Shouldn’t they all have the Public Domain Mark? I don’t see any copyright info on them, not even IA’s usual NOT_IN_COPYRIGHT tag. Good point. Not sure what can be said with what certainty, but it is a good point. We will look into it. @Nemo – Some people are never happy. They’ve disseminated their work for people to read, avoiding any paywall issues. Remember that authors to journals make the decision to disclose their findings – they don’t do it to immediately have their rights taken away. @brewster, thank you very much! @Dory, I’ve no idea who these “Some people” you’re talking about are. As for me, I’m very happy about this release, and most of the “authors to journals” in question are probably dead by now, so I doubt they’re unhappy either. Both IA and JSTOr say that those files are in the PD, mine is just a minor observation about mere tagging. By the way, many universities are using ItunesU to publish Video courses and so on. But problem is that the itunes system is a closed system. Perhaps Archive.org could make a deal with universitys to host their Multimedia content and make it usable also for non Apple users ? Any articles authored by U.S. citizens would fall under the existing U.S. copyright laws placing content created before 1923 in the public domain whether such copyright expiration is referenced on each document or not. I assume that is why JSTOR released these materials. WOWZA is this amazing!! 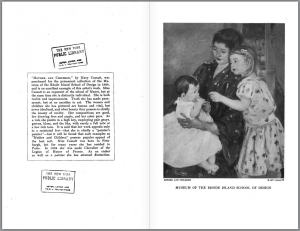 I am particularly interested in the early work of children’s librarians and just was able to find an article written by one of the main women I am researching, from 1910. Regarding the ‘some people are never happy’ comment. Most of the research which went into producing a significant number of these articles in one way or another were funded by Public Monies so I cannot feel bad about the author’s supposed intellectual property rights.